Healthy vitamins, important minerals such as potassium, calcium, phosphorus, magnesium and iron, carbohydrates and dietary fibers remain when the vegetables are dried. While dried tomatoes are particularly suitable as a typical antipasto or tasty ingredient in Pesto Rosso, the vegetable chips from ZIELER & CO. ara a delicious snack between meals. Dried rhubarb is versatile, for example in dessert and muesli, and also as a snack between meals. Dried tomatoes, especially flavor intensive, and tomato-tomatillos, as a typical antipasto or tasty ingredient in Pesto Rosso. 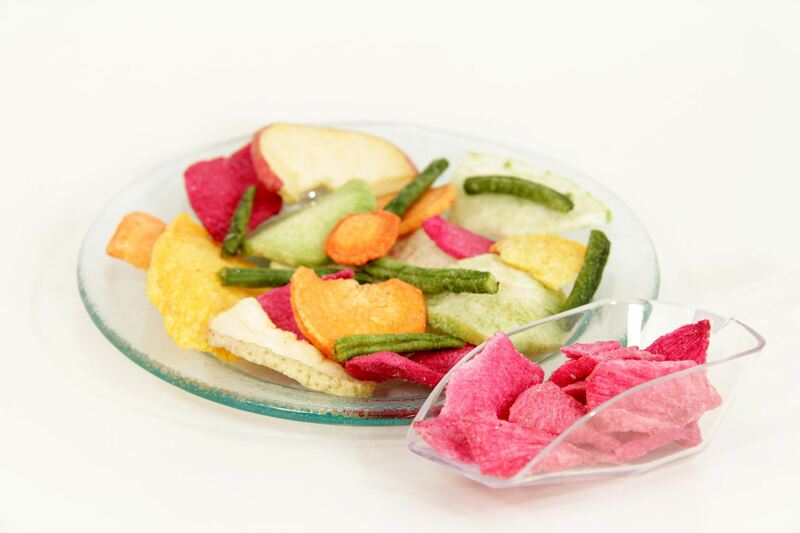 Our vegetable chips, fruit and vegetable chips and radish chips are delicious nibbles for between.